I'm up to 1,500 bullets ordered so far and look forward to even more. Whether loaded to the max.or plinking loads, absolutely no signs of leading. Easy barrel clean-up and GREAT people to deal with. Thanks again ! Very satisfied with Badman Bullets. Have used there Product for about 10 Years! 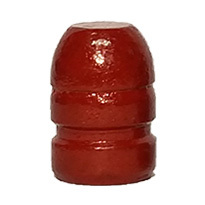 Shoot CAS (Cowboy Action Shooting) and these polymer coated bullets are as accurate as I've seen plus no lead on your fingers when reloading. Highly recommend. The only bullet for knockdown plates in SASS.. These 158's are knockdown magic.. Using 3.0 gr of WW231, minimal recoil, and one heck'ova punch on falling plates! And, these Badman bullets are polymer coated, smokeless, and delivered immediately.. Also, the nose is rounded nicely, so they feed flawlessly in an 1873 rifle. bullets from a S&W 627 Pro. I feel that has given me a fair data sampling to comment on these bullets. 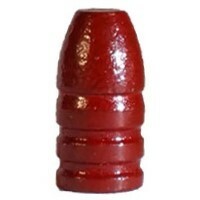 great in my 38 Long Colt loads. 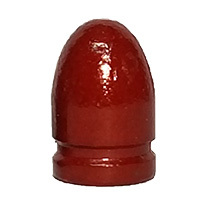 I highly recommend these bullets for competitive shooters and plinkers alike. These polycoats came quickly, and beat the prices of my local reloading store. Badman shipped promptly, and the bullets were packaged well. Clean to load and shoot.